Trump's government shutdown lasted over 30 days and cost thousands of people their paychecks. 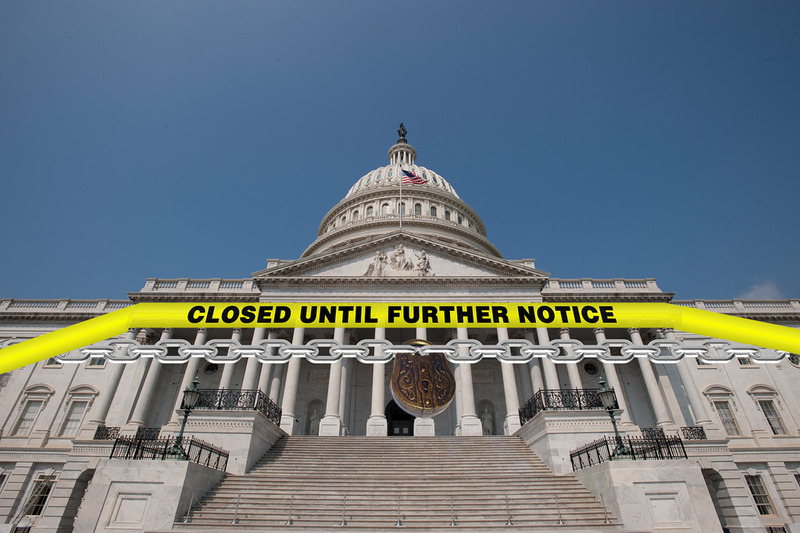 For 35 days stretching from late 2018 to early 2019, the American government was shut down, and thousands of federal workers went unpaid. Starting Dec. 22 and lasting until Jan. 25, this government shutdown was the longest one that the United States has ever experienced. Approximately 800,000 people who work for the federal government went without pay, with half of these people continuing to work anyways. This shutdown was a result of Congress and Pres. Donald Trump’s inability to come to a consensus, and it yielded immense consequences. At the root of this predicament was the southern border wall proposed by President Trump. Since the beginning of his campaign for the Presidency, Pres. Trump promised his followers he would build a wall on the southern border, and he often claimed that Mexico would pay for the wall’. As Trump’s approval rating has dropped, his promise of a wall has become more prominent in his public comments. To fund the proposed wall that would stretch across the United States-Mexico border, Trump has asked Congress for $5 billion, a relatively small portion of the federal budget. However, because of the controversial nature of the wall, there has been severe opposition and debate over the use of these federal funds for this cause. Border control has been a part of Trump’s political agenda for a long time, and he has pledged to improve the security of America’s southern border on numerous occasions. While this has been a very appealing idea to many of Trump’s supporters, both Democrats and Republicans alike expressed frustration with the government shutdown. Nine executive departments were impacted by the government shutdown – Agriculture, Commerce, Homeland Security, Housing and Urban Development, Interior, Justice, State, Transportation and Treasury. With people out of work in all of these departments, there was large-scale economic damage. According to the Congressional Budget Office, America’s economy lost a total of $11 billion, or $6 billion more than the proposed amount for wall funding. In addition to the economy suffering severe losses, hundreds of thousands of federal workers went unpaid, while around 420,000 of those federal workers stayed on their jobs anyway. People across the country were unable to pay their bills on time, and many small businesses and families suffered. “My family was affected tremendously,” said Lauren Gray, a GBHS junior, whose parents are federal workers. Families like Gray’s will be dealing with the devastation caused by this shutdown for months — some for years to come.